BSNL has refreshed all its unlimited FTTH internet plans to offer daily data instead of cumulatively depositing it to a user’s account at the start of every month. BSNL has revamped its FTTH internet plans to offer daily data. The company has refreshed all of its unlimited packs. The telco has also introduced a new plan priced at Rs 2,499. Last month, BSNL announced its Bharat Fiber Service, which was basically an announcement that the telco has moved to fiber for providing internet service, instead of using cable. Now, the state-run telco has made some new changes to the unlimited internet plans a user can opt for when availing the service as it now offers daily data for home broadband users. The plans have also been renamed and there’s no Fibro Combo naming convention anymore. 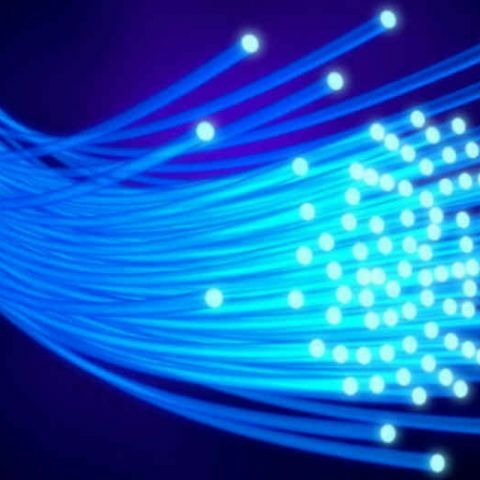 These new changes have been made to the company’s existing FTTH packs and there is a new plan added to the mix as well. BSNL has renamed the Fibro Combo ULD 777 to 18GB Plan and as the name suggests, is offering up to 50Mbps speeds per day till one hits 18GB of usage. Post this, they will be limited to 2Mbps speeds. The price of the plan remains the same at Rs 777 and offers the same 500GB of data but instead of getting the entire data at one go, it is now allocated daily to a user. Next up is the Fibro Combo ULD 1277 plan that is now renamed to 25GB Plan and comes with 25GB of daily data that can be consumed at 100Mbps speeds. After exhausting the limit, one will be capped at 2Mbps speeds. As mentioned above, BSNL has introduced a new plan with these new changes. There is now a 40GB plan that comes with 40GB of daily data that can be availed at 100Mbps speed, post which one will get download speeds of up to 2Mbps. The new plan is priced at Rs 2,499. The 50GB Plan, 80 GB Plan, 120 GB Plan and 170 GB Plan offer 50GB, 80GB, 120GB and 170GB of data per day respectively. The 50GB plan and 80GB plan are priced at Rs 3,999 and Rs 5,999, and offer speeds of up to 60 and 70Mbps respectively. Post FUP, the speeds are reduced to 4 and 6Mbps. The 120GB and 170GB plans come with 100Mbps speeds for the specified FUP and are priced at Rs 9,999 and Rs 16,999 respectively. Post usage of daily data, one will get to avail speeds of 8 and 10 Mbps.